If you don’t want the project started this year, making your plans will mean that when spring rolls around we can begin construction so you will have your pool available for that first day of summer swim season. Spring is when pool manufacturers release new items and new technologies. A spring project could mean you get the newest model available in design and top of the line equipment. Planning now for a spring pool construction project means you will beat the rush of the summer pool construction projects. Make your decisions on size, style and placement now and get on the schedule for our first spring construction opening. Landscaping is always part of the swimming pool project. Planting to enhance your pool construction project in the spring means you’re choosing the best time of year to assure your plant life will survive. The pool will be ready when summer rolls around. You don’t want to be pacing the backyard, hoping the project will get done soon because the summer heat has come around. 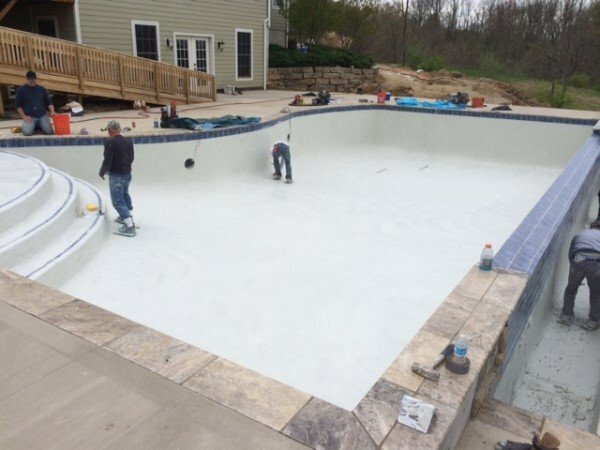 A spring project means that once summer is in full force you and your family will have access to your newly constructed pool. A potential drawback to a spring swimming pool project could be muddy ground caused by spring showers or melting snow. This is something that will need to be considered by your pool builder before he brings heavy equipment into your backyard to get the project started.